Players pass to their respective teams. 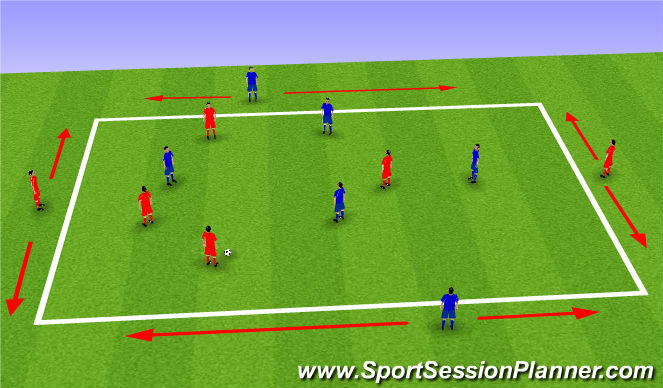 After making a pass they must go and touch an opposite colored cone then retunr to thier area to recieve a pass. Add two defenders and simple possession game is played. 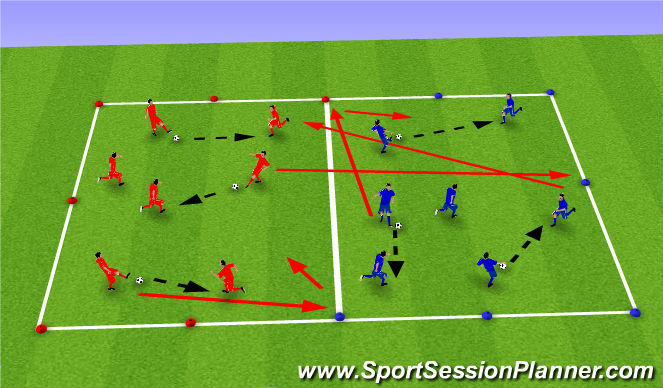 5 passes or if any of the patterns of play are used a pt is awarded, defenders switch every two min. 4 v 4 with 2 target players. Pts are scored when ball is played into target players. Target players can be played into and switched with by playing a give and go with players in square. Once players go to switiching with target players the target player is aware of a positive first touch that will move past/beat pressure. Open scrimmage with 4 goals. 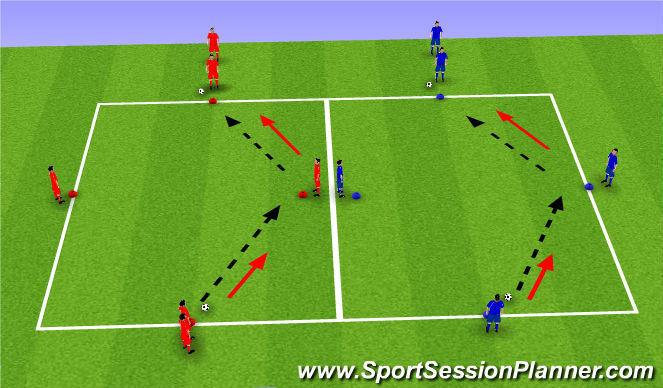 Pts can also be scored when patterns of play are used; give and go, drop pass followed by through ball.